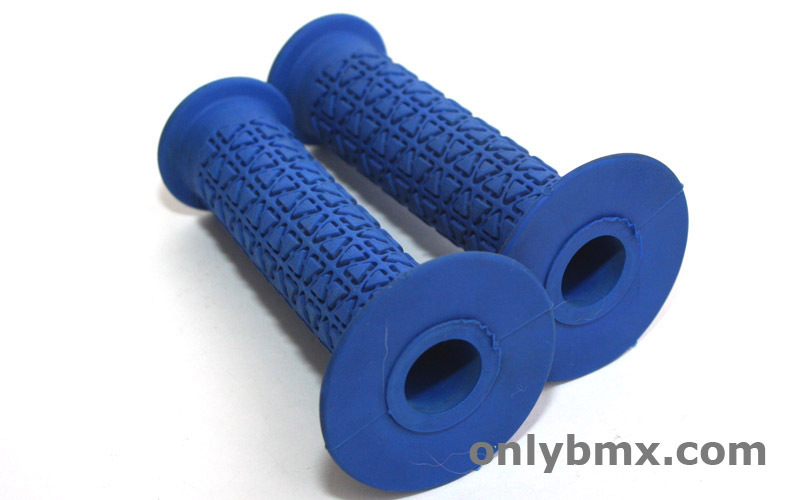 Pair of blue A’ME round BMX grips. Put on a show bike and that’s about it for these. Look new, mint or whatever else is the popular way to describe them these days. 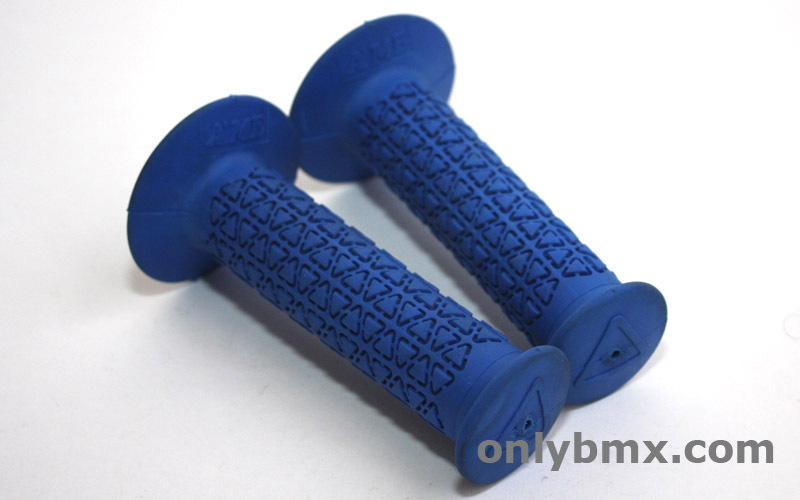 Feature the older style bubble font which is era correct for the earlier vintage BMX bikes rather than the later style. These are not recent reproductions which I think have gone back to the bubble font just to make it difficult.